Top catapult should be steam cat. Bottom catapult should be EM cat. Yodello and SteelBird like this. davidau, AeroEngineer, mr.bean and 10 others like this. Impressive ... but let me guess, the text on the image si surely some kind reminder NOT TO POST these images? Nope, it's wishing everyone a Happy New Year. BRIANLEUNG, Jono, mr.bean and 9 others like this. 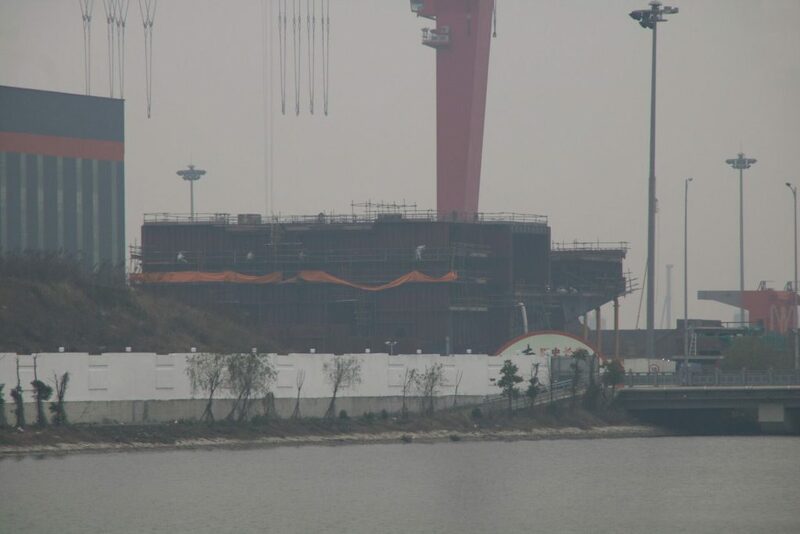 If this is a single piece as it appears to be in this photo, i cant imagine how will they be able to transport this module to where the hull will be assembled, but i could be wrong. The harbor basin in front of the construction site will be completed. Then the modules can be pushed onto pontoons and transported to the building dock. bruceb1959 and cloyce like this. And if the 3ᵉ Chinese aircraft carrier is conventional propulsion + EMALS ?! 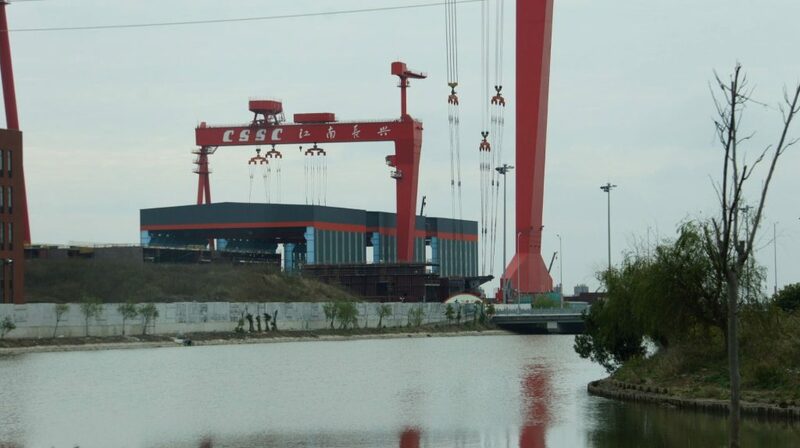 That China is building its third aircraft carrier in Shanghai is probably no longer a doubt today, as the first blocks are already appearing in the new construction zone at Jiangnan Changxing Shipyard for several months, but the debates remain however open and lively as to the type of propulsion used by the ship, and also to the type of technology chosen for its catapults, namely to steam as on most aircraft carriers for 70 years, or electromagnetic (EMALS) which now equips in the first place the USS Gerald R. Ford of the US Navy. 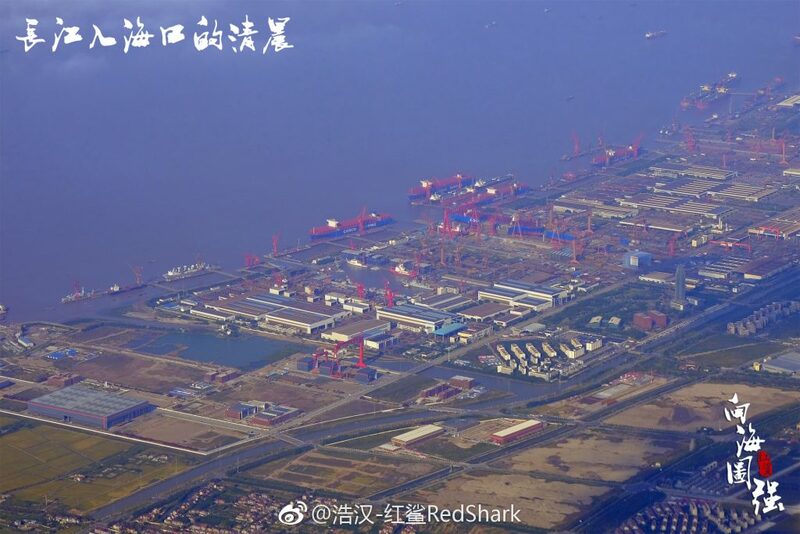 Although the Chinese authorities, particularly the Central Military Commission and the Chinese Navy, have not yet revealed any details on current and future programs, the industry has recently made some interesting "half-hearted" leaks. In an article published at the end of January by Jiangnan Changxing shipyard, the subsidiary of the Chinese naval group CSSC, which is also one of the largest shipbuilding sites in the world, honored one of its experts, ZHANG Guo Xin (张国 新) , Production Manager of a "Special Project". The text, which was removed from the Weixin account soon after being put online probably for revealing more than necessary, indicates that ZHANG has been working on the construction of a "Strategic Product" for almost three years. The standards on stator installation accuracy, according to the operation of the linear machine rotors, as well as on-line hoof and dynamic compensation technologies of the "TS device"
This work and other achievements led by ZHANG earned him the first contribution prize 2018 from the CSSC group. And among these three topics put forward by the Chinese shipbuilder, point 2 seems to suggest quite clearly that the 3ᵉ Chinese aircraft carrier will use EMALS catapults. The only question concerns the word "TS", which could in fact be the phonetic acronym for " T án S hè" (弹射), ie "catapulting" in Chinese. As for propulsion, if these "Special Project" and "Strategic Product" mentioned in the article actually represent the new aircraft carrier under construction - which is more than plausible - then the Chinese word 机 炉 舱 used in point 1 , which means that the main and auxiliary machines as well as the boilers are in the same machine room, seems to be quite characteristic of the conventional propulsion of an aircraft carrier. It should be noted that the same word had already been used in an article by Xinhua in 2014 to describe the engine room of the aircraft carrier Liaoning , which is also conventional propulsion. Of course, all this is only the hypothetical interpretation of an article of the Chinese shipbuilder, but with the progress of construction of the new aircraft carrier, other elements are expected to emerge shortly, either voluntary or involuntary. Jeff Head, bruceb1959, B.I.B. and 8 others like this. It seems doubtful for damage control reasons the boiler, turbine and generating machinery would all be in one compartment. Integrated machinery compartment might mean the entire machinery space is fabricated as one single module, rather than each set of propulsion equipment is in one compartment. Why has the image been removed?